Up in the mountains, get set, go! Is mountain training a welcome contrast to your everyday routine? In this case, you should insist on functional clothing tailored to the challenge. The Runbold Trail SO Hooded Jacket Men is made from a comfortable and cozy soft shell material. The elastic fabric accommodates every movement. If you enjoy exploring mountains at running pace, high breathability is an essential requirement. 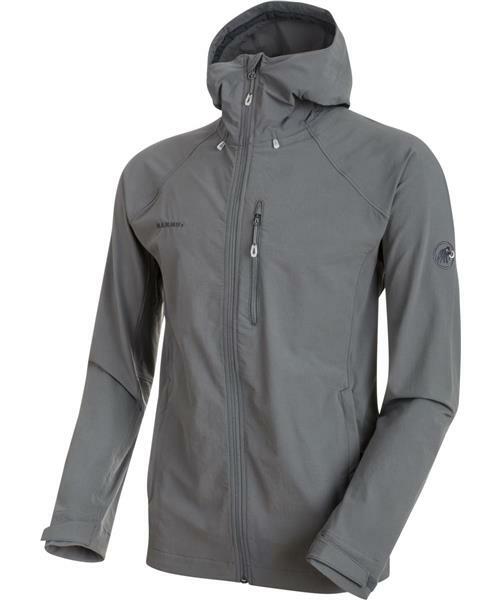 The jacket has been designed without a membrane to promote active moisture exchange. A DWR treatment on the outer material provides a reliable water-repellent effect. The hood, which can be secured with a hook, will also protect you from rain and wind. Particularly useful: the jacket's very small packing volume will allow you to easily stow it in your backpack for space-saving storage. The Runbold Trail SO Hooded Jacket Men combines flexibility with functionality to support successful training.